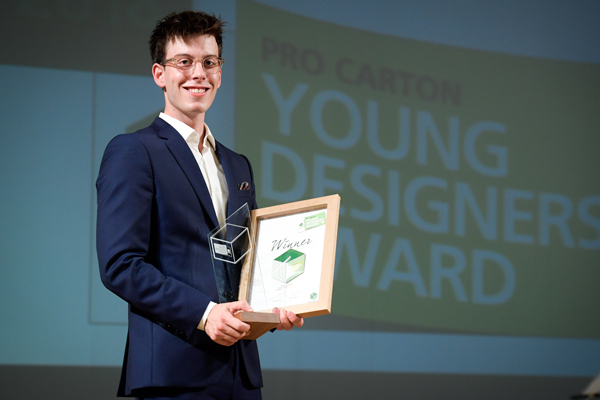 The winners and finalists have been chosen: young students from Germany, Austria, Poland and Sweden, along with their lecturers, were honoured for their brilliant ideas on 20 September 2018 in front of the collective cartonboard and carton industry. 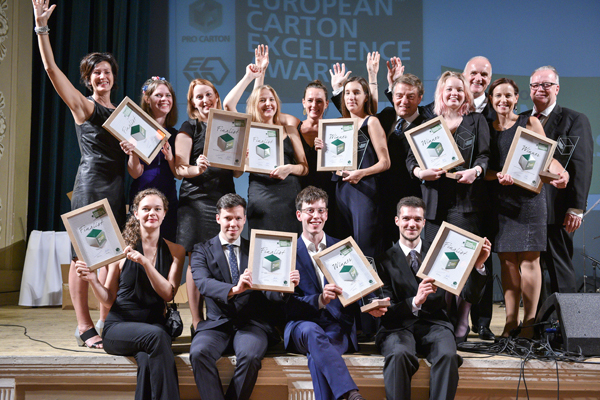 All ten finalists were there to share a moment of great emotion in the wonderful old city of Riga on the Baltic Sea. 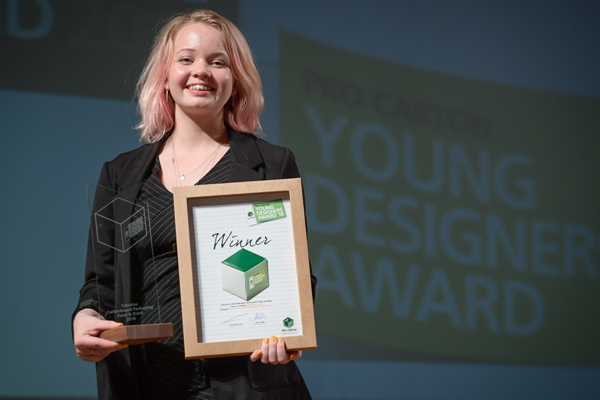 Over 400 entries and the participation of 50 design schools from 21 countries highlight the importance of the Pro Carton Young Designers Award in European design education. 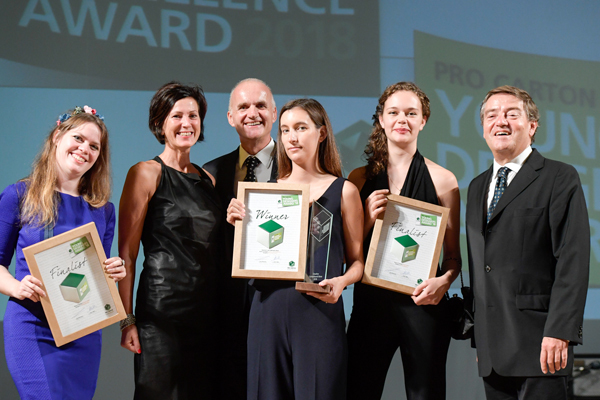 The main prize for the four category winners is a visit to the Metsä Board Mill in Finland as well as practical training at the international carton producer Mayr-Melnhof Packaging in Austria. In addition all the finalists and tutors enjoyed a two night expenses paid trip to the Latvian capital and the ECMA Congress Gala dinner. 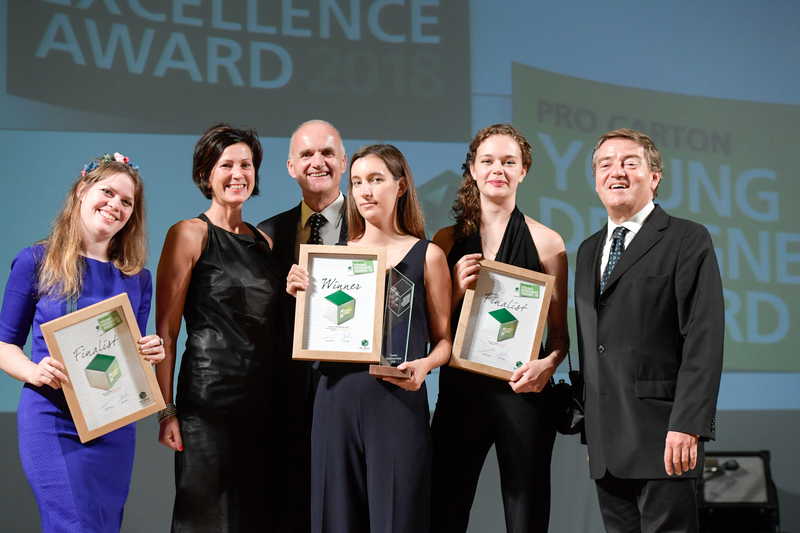 The prize winners and finalists, will gain wide exposure as they are promoted widely through the trade and specialist media as well as being featured at trade shows across Europe. Public participation in the public voting was also very high and the students and their fans ensured a lively exchange on the various social media platforms. This year the Public Award went to Stefan Pfister with “disctwist”. 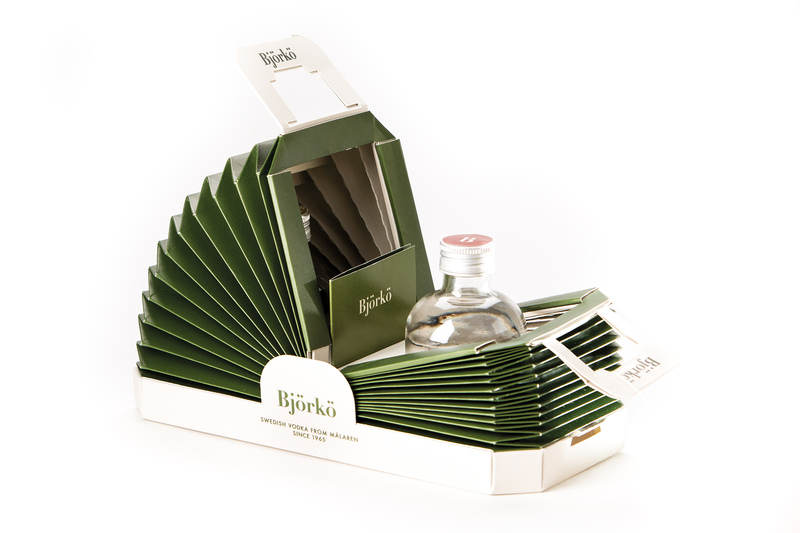 “Our concept was to go against the norms of the classic packaging of premium vodka and to give the consumer an unforgettable unboxing experience. The key challenges have been to use the right material for the right parts in the construction. The jury said: This is definitely one of those ‘not seen that before’ concepts. A real feat of carton structural engineering that if commercialised would be one of the most impactful in-store. 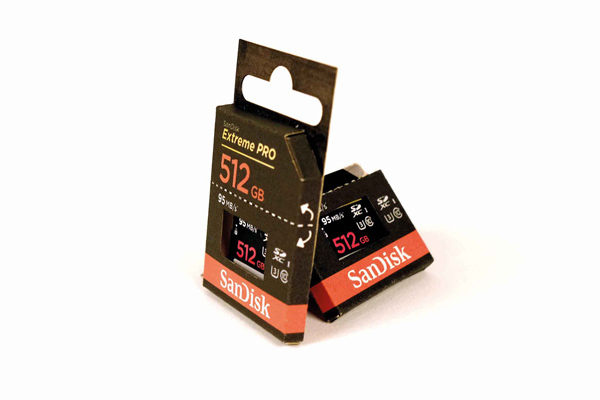 “I wanted to create an environmentally friendly package with a purpose. I looked to find a need and a solution, with sustainability in focus. I also wanted the pack to be practical and optimised to distribute. 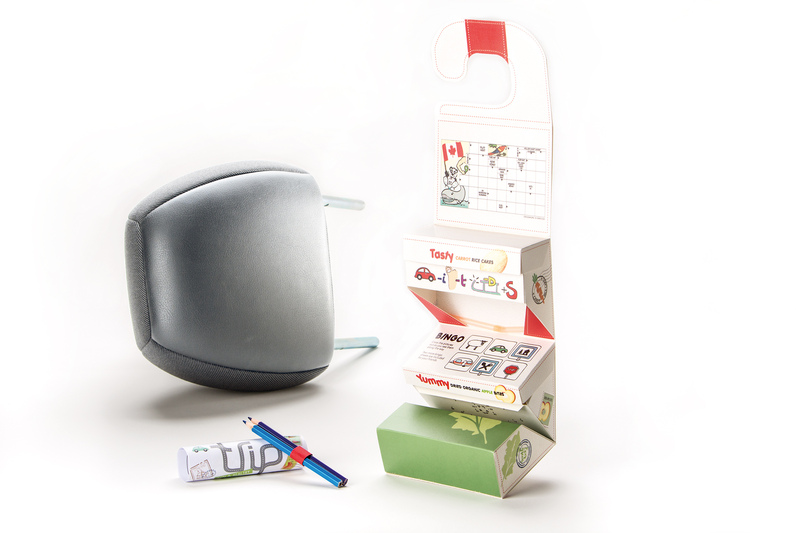 I came up with a concept that challenges one of today’s habits – to give kids unhealthy food while travelling. 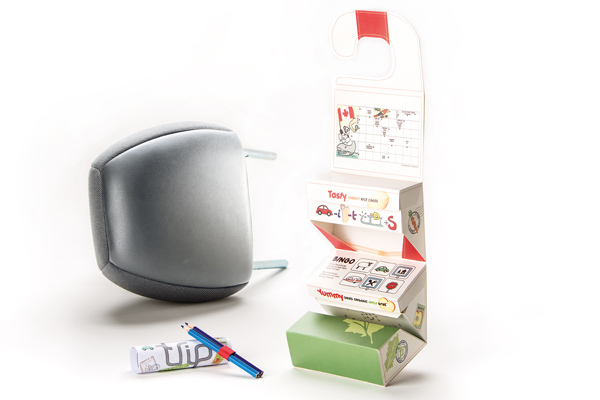 The main focus has been to create an appealing package that is not only sustainable but could also keep a child occupied while sitting in a car or a train and offer them good food. 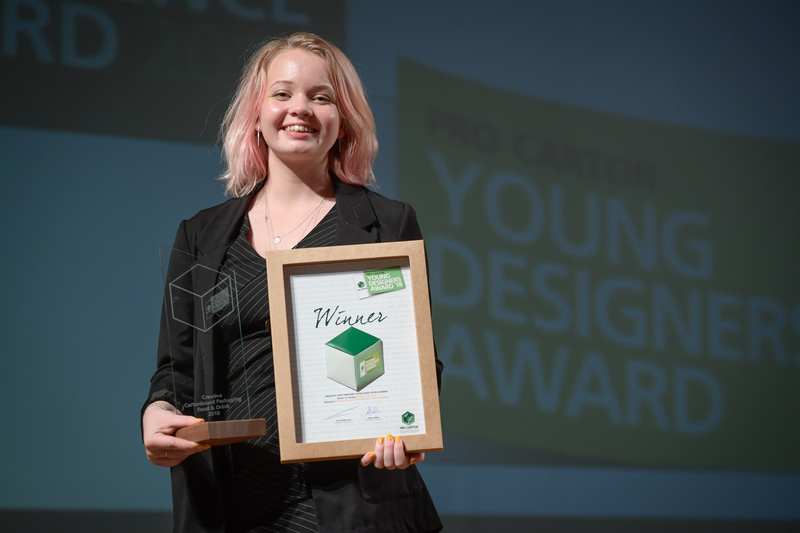 The jury said: This concept is appealing on many levels: well considered and backed up with excellent graphic communication. Problem found – problem solved. 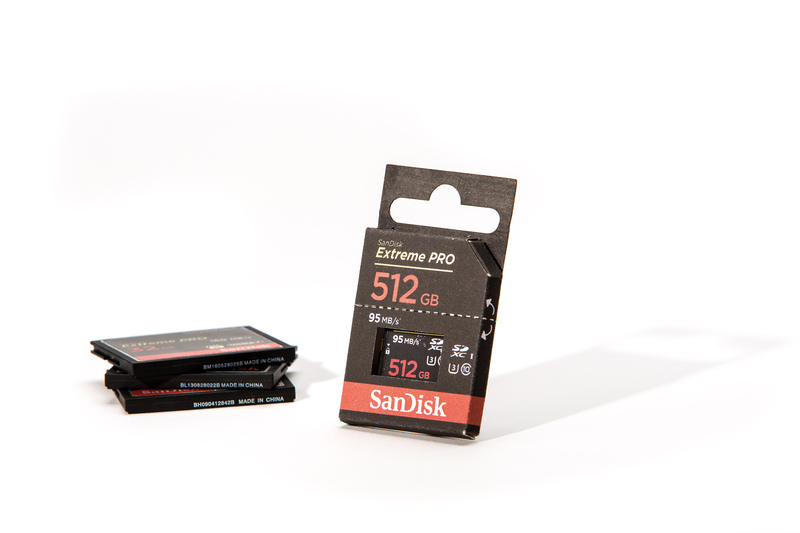 “I was annoyed by the blister package of the SD-Card I ordered online. It was way too big for its content and hard to open. Therefore I was looking for a recyclable solution. The key challenge was to fit everything on such a small template. The jury said: A well thought through idea, carefully constructed yet a simple idea. In fact, this was a total presentation with complementary graphics to help the overall concept. 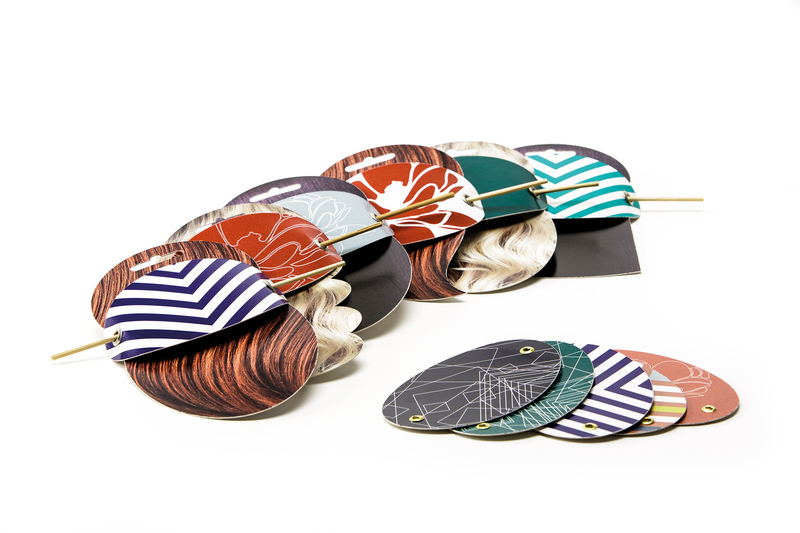 “Every time I look in a fashion magazine, I see hair accessories made from plastics. 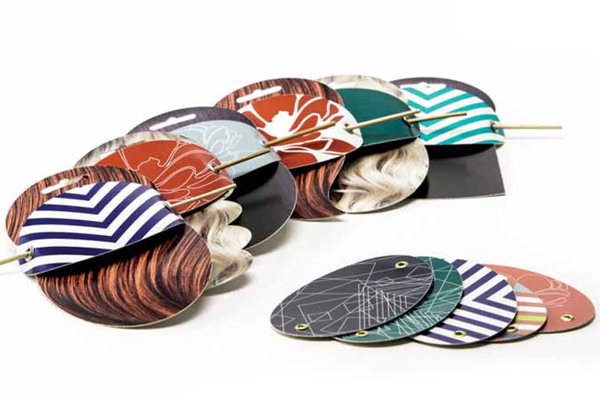 The idea was to create simple hair accessories made from cartonboard instead of plastic that is simple to handle. The challenge was to create a hair accessory from cartonboard that really fixes all type of hairstyles (short, long, curly, straight, etc. ), without the cracking of the cartonboard. 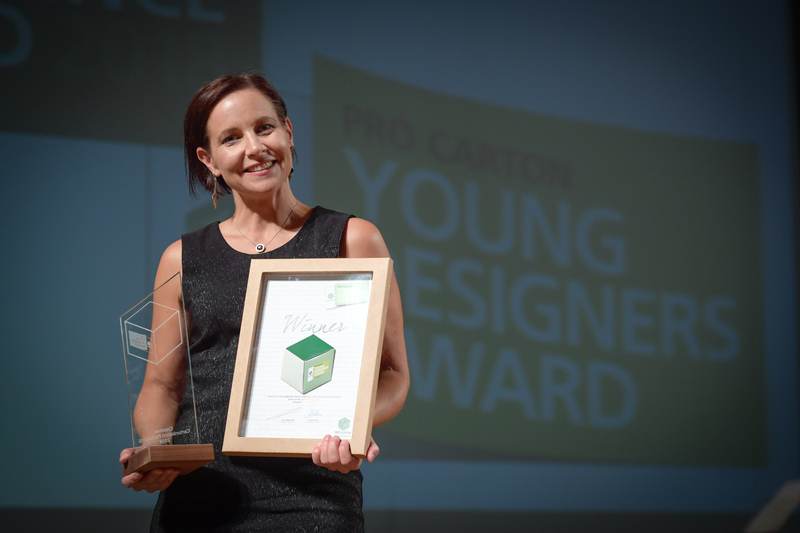 With every single idea of creating a packaging with cartonboard and without plastic, we can get to a better future. 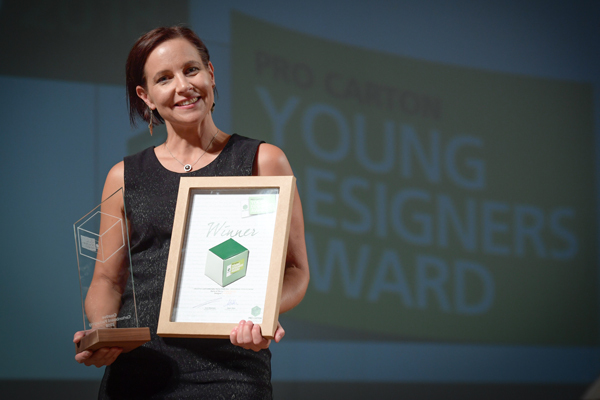 The jury said: This is indeed a new and creative but also a cost-effective solution for an everyday use. Add to that the impact of seeing such a product on display, then you have a total offering. “My idea is influenced by my love of photography. It is always hard to get the little ones to look towards the camera. When you are behind the camera, you cannot easily entertain the children to make them look in your direction. My idea solves the problem inexpensively and in a fun way. 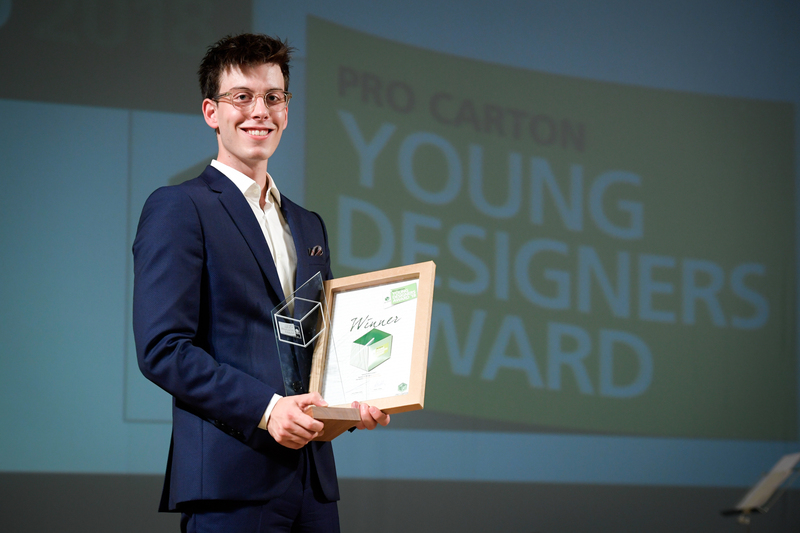 And carton is a great material for me because of his interactivity – people can draw and write on it, the shape is changed easily by folding or cutting.